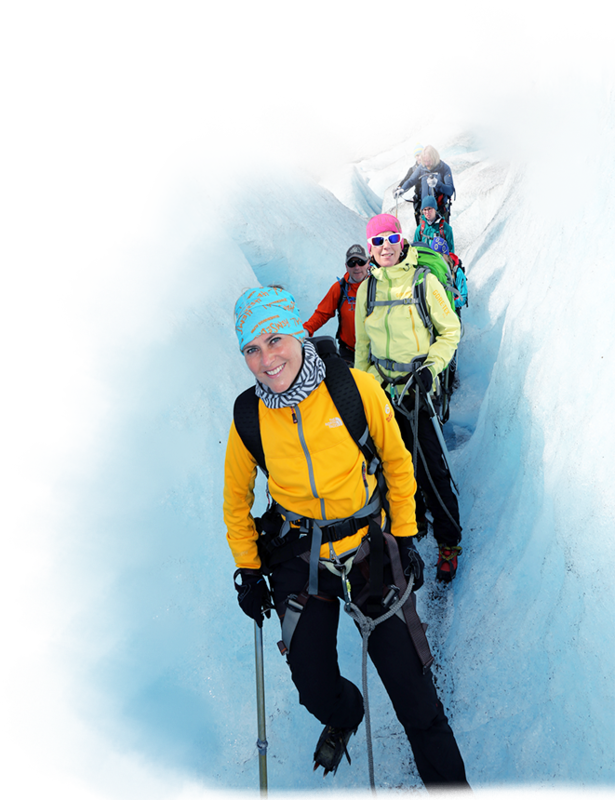 Enjoy a round trip adventure starting in the early morning and ending in the early evening. Leaving plenty of time to enjoy a relaxing night in Norway. Take a Fjord Visjon Bus to Gudvangen. Jump aboard the Fjord Visjon Cruise Ship at the Gudvangen Ferry Quay to enjoy some sight seeing on the beautiful Norwegian Fjords. Food and Beverages are available on board. 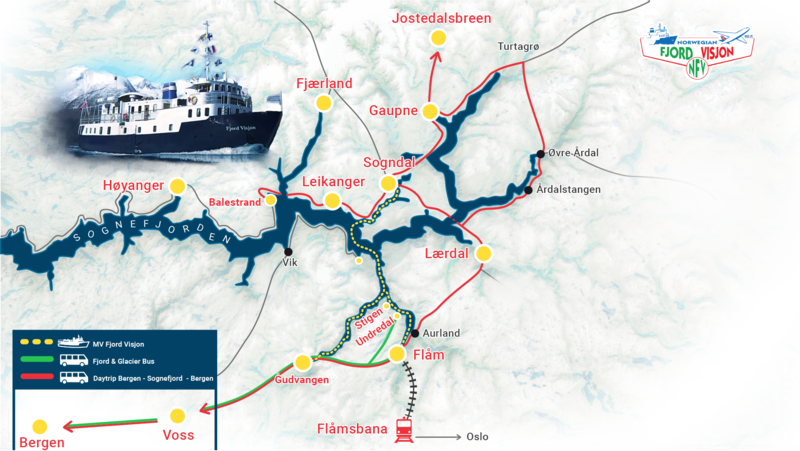 The Ship will dock in Flåm and give you the opportunity to explore and enjoy the scenery before leaving. 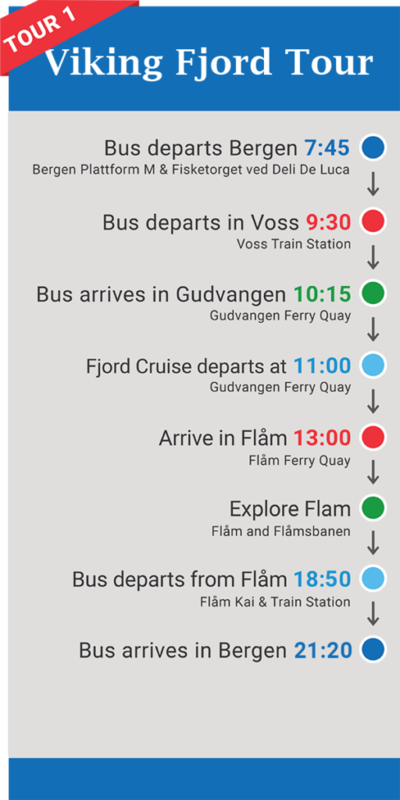 Take the Fjord Visjon Bus from Flåm back to your original destination. 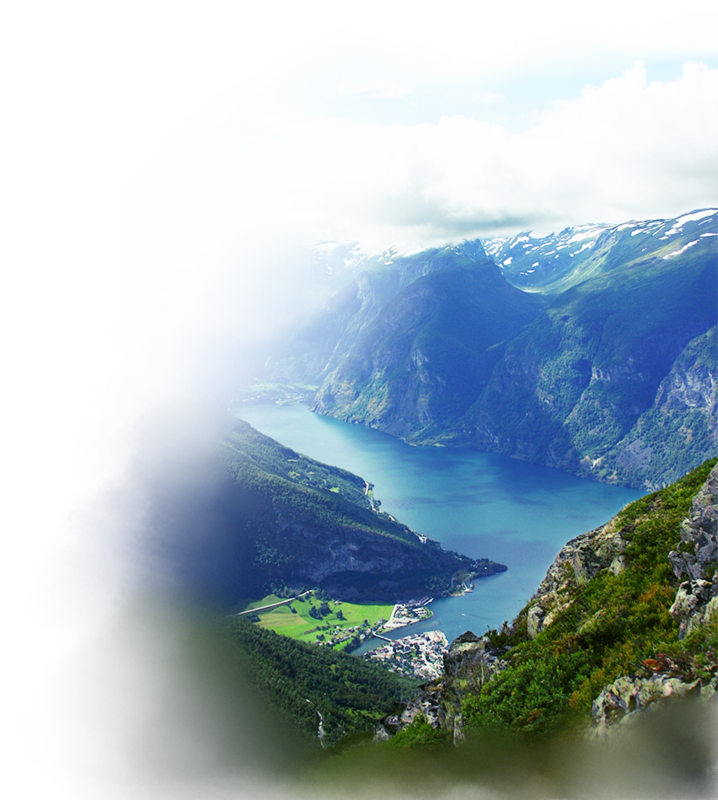 Purchase a ticket on the Flåm railway and explore Flåm! Bus routes begin May 1st and will be bookable starting November 2018!